I’ve owned the first version of this lens for some 10+ years. Recently I got the new version with SIC on the lens elements. I like the newer version better. I’m not sure if this lens is as sharp on digital as it is on film cameras. On film, it’s very, very sharp. I like the focal length of this lens much more than using a 24mm. In my case, once you’ve used the 20mm it’s very hard to go back to the 24mm. 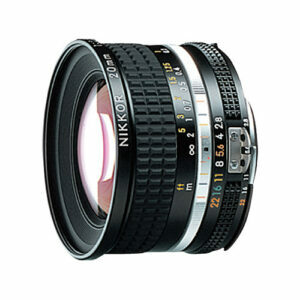 Never was impressed with Nikon’s 24mm lenses. I do like their 28mm lenses however. The 20mm is a great lens with it’s ability to keep straight lines straight (rectilinear). Anyway, I’ve never regretted buying this focal length. Ever.